GREETINGS PROGRAM. YOU ARE A FAN OF THE LORE OF TRON. YOU CAN TELL THE DIFFERENCE BETWEEN C.L.U. AND C.L.U. 2. YOU KNOW WHO JETHRO BRADLEY IS. YOU MAY NOT CARE. BUT YOU STILL KNOW. YOU BECOME UNCOMFORTABLE WHEN SOMEONE MISTAKES [USER] KEVIN FLYNN FOR [USER] SAM FLYNN. YOU KNOW WHAT EACH CIRCUIT COLOR REPRESENTS. YOU YELL KEVIN FLYNN WHEN YOU WATCH THE BIG LEBOWSKI. OR MAYBE YOU DON'T DO ANY OF THOSE THINGS. THAT IS NOT IMPORTANT. 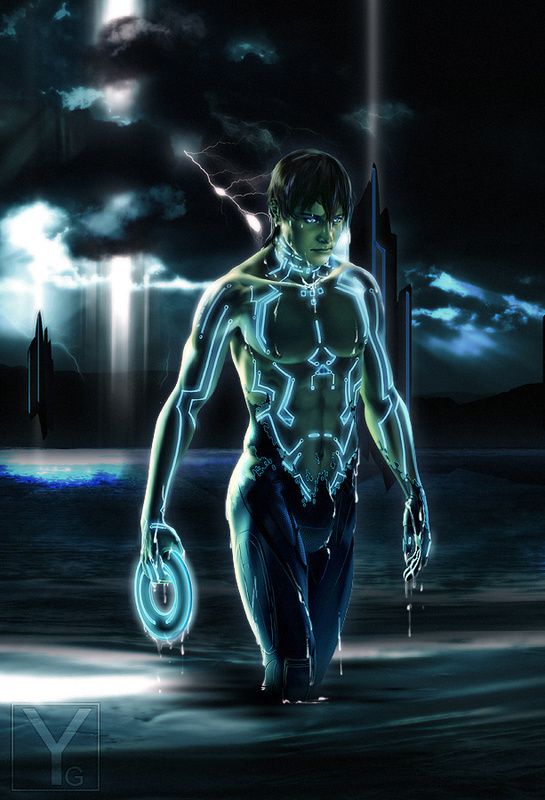 WHAT IS IMPORTANT IS THAT YOU LOVE TRON. AND YOU'RE READING THIS IN BRUCE BOXLEITNER'S VOICE. Oh heck yess!! Oooh I love Tron. So so so much. <3 May I join? Halt User, take your Identity Disk first. Sirens, you know the drill. REQUESTING DATADISK AND FULL INITIATION INTO FC. Are you joining, User? Or are you a lowly program? Program? Never, I'm a user! My name is TRON, User. We need you in the resistance. Will you join the club? Strolls in with awesome dub-step music. Just kidding, welcome to the club. DAFT PUNK IS NOT DUBSTEP. Yes. It is electro/glitch. Please do not make that mistake again. Or some Programs gettin' derezzed in this club. ^Totally should have been a scene in Legacy. I really need more TRON in my life. Welcome Program, next time, bring Jeff Bridges beard with neon circuits. Anything else would take far too many cycles to find and I don't know where Jeff Bridges lives to go steal his beard, stick neon circuits on it and bring it here. You could kidnap Mr. Bridges, but whateva'. Oh my. User, do keep coming back with more fanart. OH my, I request joinage in to this club. I don't know if anyone other than Enicks has the power to accept people into the club, but as I don't know when he'll be back and I don't think he'd turn you away... welcome to the fan club. Sirens, you know what to do.